It’s the place where dreams come true. Imagine six fantastic Disney Parks, two exciting night-time entertainment districts, and a state-of-the-art sports complex. Now add in over 20 themed Resort Hotels, plus countless opportunities for dining, shopping and recreation, and it’s easy to see why Walt Disney World Resort is the number one holiday destination in the world. And with so much to explore, there’s only one ticket that lets you play Disney your way: Disney’s Ultimate Ticket. 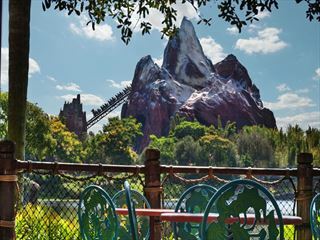 Exclusively designed for UK guests visiting Walt Disney World Resort in Florida, this ticket means you can come and go as you please to all six Parks and more at one amazing price. It’s the only ticket you need. 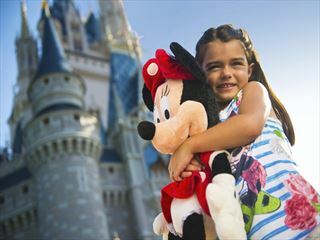 Don't forget to pre-book your Disney Ultimate Tickets with American Sky before you leave home! Wonder and fantasy await, in over 40 magical attractions bursting with exciting adventures and timeless fairy tale classics. It's the one – and only – place where once upon a time is now, and make-believe is real enough to touch. Meet the creatures who inhabit our world – and our imagination. You’ll roar with excitement to discover animal adventures, lovable creatures and spectacular shows at over 20 attractions throughout five unforgettable lands. Lights, camera, action! Showbiz takes centre stage, but you’re the star. Walk down the red carpet into the heart of movieworld, from thrilling attractions to live spectaculars and exciting backstage action. Encore! • Fun for little ones – Toy Story Mania! (inspired by Disney•Pixar’s ‘Toy Story’ films): zip off into a 3D world of games hosted by Woody, Buzz and friends! 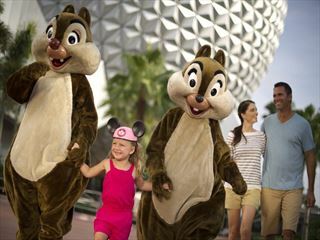 High tech fun and Disney imagination combine with the wonder of diverse cultures in Future World (witness the wonders of tomorrow, today) and World Showcase (visit 11 countries in one day). Both promise thrills and excitement in over 30 amazing attractions. 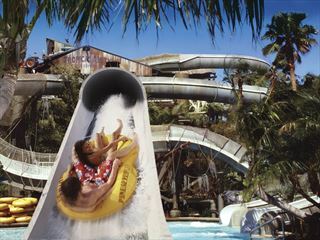 Go against the tide at Disney’s Typhoon Lagoon Water Park. It blows other water parks away! ’Cause after the storm of storms blew through, it left this tropical paradise full of twisting slides, sandy beaches and the largest inland wave pool around in its wake. Come thrill out on the churning, turning Crush ’n’ Gusher water coaster, chill out on the beach, visit a shark reef or cruise a creek. At least to start out with! You’ll also find slides, rides and bubbling jets for the little ones at Ketchakiddee Creek. Disney’s Blizzard Beach Water Park is the polar opposite of other water parks…a melted ski resort in the middle of Florida! From bunny slopes to black diamonds, this place is packed with downhill thrills and plenty of ways to cold chill. So come zip down the 120-foot-tall Summit Plummet waterslide, tackle a fast-paced tube run, take on the Teamboat Springs family raft ride or enjoy a leisurely float along a creek. And little ones can have big fun at Tike’s Peak––a special play area full of scaled-down, kid-size slides, rides and water jets.